The startup and web development industries are both highly competitive and have a high failure rate. I would attribute our success to a lot of hard work and some good luck. 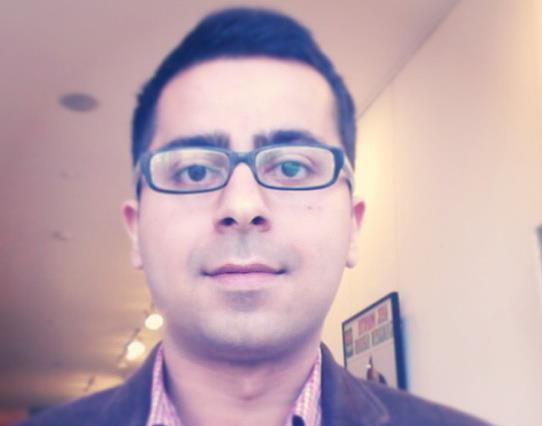 Sixtooth is owned by Sameer Noorani. Sam has been making websites for 15 years (since the age of 12) and runs Sixtooth. He studied computer science and neural biology at University of Toronto. He is extremely passionate about technology and helping his clients excel. Sixtooth provides customers with Web Design, Mobile and Responsive Design, Storyboards & Wireframes, Web Development, Mobile Development, Custom Content Management Systems, SEO marketing and Social Media Support. BusinessInterviews.com: What influenced your decision to avoid outside funding? How has this decision influenced the direction of the company so far? Sam: The costs of starting your own business or launching your own startup application have dropped dramatically over the past decade. The ability of an individual to create a scalable application has exponentially become easier. Often times entrepreneurs feel that having limitless funding will allow them to create the best possible application, in reality, this is not always true. Putting funding limits or time limits on your startup allows you to set mental breakpoints and allows you to “finish” a product and get it out there. If you look at companies like GitHub, MailChimp, 37Signals, Braintree etc. — are all great examples of bootstrapped companies that have tremendous success. The biggest reason for avoiding outside funding is the freedom it gives Sixtooth to develop features and the services we offer. We don’t have to spend countless hours in meetings trying to get seed funding instead we spend that time on creating creative applications. This decision made Sixtooth into a hybrid business: service business and a startup. Sixtooth constantly works with other startups and businesses developing their applications, which allows us to learn new things about business and development. At the same time we are developing our own applications which allows us to exercise our creativity. This decision has also made Sixtooth focus on the profitability of ideas and optimizing the resources we spend on each application. BusinessInterviews.com: How has website design evolved since you first started out 15 years ago? Sam: Website design has come a long way since I first started developing websites. All one has to do is check out Yahoo!’s homepage on archive.org from the year 2000 (https://web.archive.org/web/20000301053337/http://www.yahoo.com/) to see how much things have evolved. As connectivity has gone from 56k modems to fiber internet, it has unleashed the ability of web designers to go to higher realms of creativity. Web design has gone from being a technical skill to a cross between creativity and science. The creation of UI principles has created a standard across the web for creating easier to use websites. The advent of HTML5 (and in the past Adobe’s Flash) has made websites from static documents to dynamic interactive applications. The web browser has transformed from being a tool to read text and images to almost being an operating system which can run powerful web applications. Website design is now a collaboration between designers, UI specialists, backend developers, the users. Using analytics, companies are constantly tweaking their websites to become more efficient and delivering information and increasing user participation. BusinessInterviews.com: How have you managed to develop an impressive presence within the industry in a short period of time? Sam: The startup and web development industries are both highly competitive and have a high failure rate. I would attribute our success to a lot of hard work and some good luck. Sixtooth has always come across clients looking to make interesting projects that we believe in. We’ve had a chance to develop complex algorithms for user preferences, create mobile e-commerce based applications, work with some of the top designers in the country etc.. We’re always open to taking on new challenges and new types of projects. A lot of companies are scared of trying something new. Sixtooth is constantly looking for new ways to solve problems. For our web development business, I feel the level of service we offer has allowed us to keep our relationships with clients. In our Startup business, we’ve diversified the types of applications we are creating. From the first project we did, Rad Urls, to our second project, which is based on the sharing economy, to our third project, which has no overlap with any of our previous applications. Sixtooth as a startup has been versatile in the types of applications it is building. In 2015, Sixtooth hopes to launch 3 different applications in 3 different industries. BusinessInterviews.com: Can you share some common misconceptions that people have when it comes to SEO marketing? Sam: SEO marketing has gone from “marketing” to “content creation”. Content is king when it comes to marketing your business or products. If you want to offer a service, you need to ask yourself what your target audience needs in terms of information. A lot of companies feel that paying SEO service companies will give them a ton of traffic. This is just not true anymore. With the changes in google’s algorithm in the past few years, uniqueness and usefulness of your content is the only thing that can help your business. BusinessInterviews.com: What inspired your decision to start designing some apps of your own? Can you tell us a bit about your upcoming launch of RX Posts and other applications you’ve been working on recently? Sam: With the recent popularity of web services related to the sharing economy and the adoption rates of these applications has inspired us to create RX Posts. RX Posts allows pharmacies to post shifts on our platform and gives pharmacists the ability to find work. RX Posts allows pharmacies to add funds to their online accounts to create the shifts. Once the shift is complete, pharmacists are paid through the platform. RX Posts will give pharmacies to find the best pharmacists suited for their businesses. It also allows pharmacists to work directly with pharmacies instead of having a middle man (ie. recruitment agencies) taking up their earnings. We are also working on an updated version of Rad Urls and other exciting applications we can’t speak of too much into right now. BusinessInterviews.com: What some trends in your industry that you’re excited about or think that our readers should be paying attention to?